This North has a soft hypoallergenic silicone rubber face piece. Cradle suspension provides a secure fit without irritation. Low profile allows a wide field of vision and room for protective eyewear. Tested to ANSI S3.19-1974 standards, this dielectric earplug has an NRR of 27. Its tapered design and sturdy stem allow for easy insertion and removal and a comfortable fit in the ear canal. Made from latex-free silicone rubber, the FP42 and 43 are non-irritating to the skin. They are available uncorded (200 Box) and corded (100 Box) and in case quantities. Four flanges for a safe, accurate and comfortable seal. Reusable silicone rubber provides superior comfort and protection. PVC dielectric cord conveniently hangs around neck (corded only). Available with or without a cord. The most comfortable mask available. 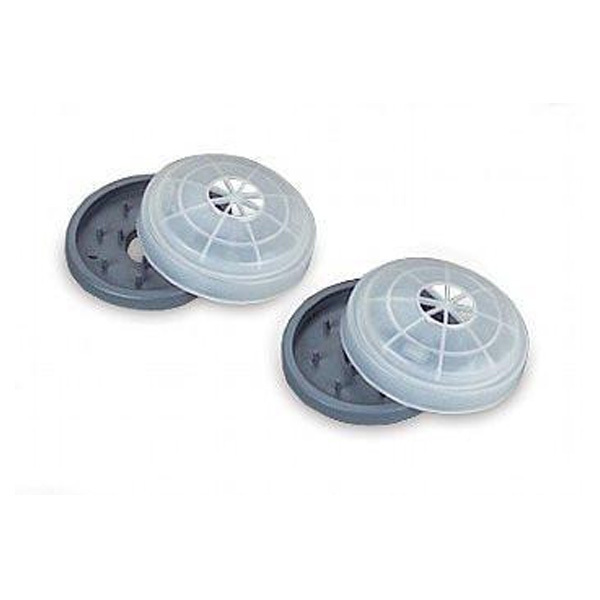 Double flange sealing area made from medical grade silicone for a comfortable fit and optimum facepiece to face seal. Other features include wide field of vision, 5 strap harness and chin support.